Assisted opening. 4" closed. 3" bead blast finish 14C28N Sandvik stainless blade. Camo aluminum handle. Extended tang. Thumb stud. Lanyard hole. Pocket clip. Assisted opening. 4" closed. 3" bead blast finish Sandvik 14C28N stainless blade. Orange anodized aluminum handle. Extended tang. Lanyard hole. Pocket clip. Thumb stud. Assisted opening. 4" closed. 3" bead blast finish Sandvik 14C28N stainless blade. 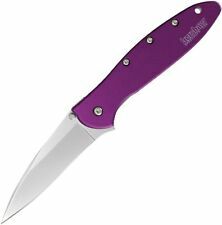 Purple anodized aluminum handle. Lanyard hole. Pocket clip. Thumb stud. Extended tang. Assisted opening. 4.25" closed. 3" stonewash finish 420HC stainless blade. Gray aluminum handle. Pocket clip. Lanyard hole. Extended tang. Steel: 420HC. Knife includes Bottle opener, Carabiner & pocket/belt clip. Tac-Force Tactical Spring assisted knife. Excellent quality knife with sharp blade. Knife weight of 3.9oz(112gms). This is a NEW in the box Numbered C86PET SPYDERCO Spin Etched model folding knife, Collectors Club knife numbered 161 of 200. The C86PET Spin Etched was manufactured in 2007. The collectors club gives you the possibility to receive all Spyderco knives made, with your number on them. Assisted opening. 4" closed. 3" bead blast finish Sandvik 14C28N stainless blade. Teal anodized aluminum handle. Extended tang. Thumb stud. Pocket clip. Lanyard hole. Assisted opening. 4" closed. 3" bead blast finish Sandvik 14C28N stainless blade. Camo aluminum handle. Lanyard hole. Pocket clip. Thumb stud. Extended tang. Ultimate Bargain Cave carries the largest selection of Knives and Sporting Goods. 3" Sandvik 14C28N stainless drop point blade with dual thumb studs and extended tang. 6061-T6 anodized aluminum handles. 3" Sandvik 14C28N stainles. 3" Sandvik 14C28N stainless drop point blade with dual thumb studs and extended tang. 6061-T6 anodized aluminum handles. Lanyard hole. Reversible stainless pocket clip. Blade Material: D2. Flipper Opener. Blade Length: 3.625". Blade Width: 1.00". Plain Edge. Blade Thickness: 0.15". Wharncliffe Blade. Handle Material: Black Aluminum, Black G-10. 3" Sandvik 1. 4" closed Linerlock. 3" Sandvik 14C28N stainless drop point blade with dual thumb studs and extended tang. 6061-T6 anodized aluminum handles. Lanyard hole. Reversible stainless pocket clip. Assisted opening. 4" closed. 3" bead blast finish Sandvik 14C28N stainless blade. Green anodized aluminum handle. Extended tang. Thumb stud. Pocket clip. Lanyard hole. New Kershaw 4" closed Linerlock. 3" Sandvik 14C28N stainless drop point blade with dual thumb studs and extended tang. 6061-T6 anodized aluminum handles. Lanyard hole. Reversible stainless pocket clip. Model 01MB456. This compact rescue knife shouldn't be under-estimated! The black coated 440 stainless steel blade is partially serrated, and locks securely with the liner lock. The black anodized aluminum handle features a seatbelt cutter and glass-breaker for rescue situations. Tac-Force Tactical Spring assisted knife. Excellent quality knife with sharp blade. Knife includes pocket/belt clip. Knife weight of 4oz(114gms). 3" Sandvik 14C28N stainless drop point blade with dual thumb studs and extended tang. 6061-T6 anodized aluminum handles. Lanyard hole. Reversible stainless pocket clip. Bead blast finish blade. Deep jewel tone purple handles. Blade Material: D2. Flipper Opener. Blade Length: 3.625". Blade Width: 1.00". Plain Edge. Blade Thickness: 0.15". Wharncliffe Blade. Handle Material: Gray Aluminum, Black G-10. 3" Sandvik. 3" Sandvik 14C28N stainless drop point blade with dual thumb studs and extended tang. 6061-T6 anodized aluminum handles. Lanyard hole. Reversible stainless pocket clip. Bead blast finish blade. Model Number: 1660SWBLK. Plus, its compact shape and safety features make it easy to pocket and carry on a regular basis. Includes a Reversible Pocket Clip. Blade: 3 in. Safety Lock: Yes. Lock: Locking Liner. 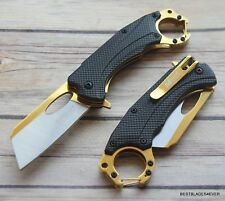 Master Collection Spring Assisted Tactical knife. Excellent quality knife with sharp blade. Weight of Knife is 3.3oz(94gms). Assisted opening. 4" closed. 3" stonewash finish Sandvik 14C28N stainless blade. Black anodized aluminum handle. Extended tang. Lanyard hole. Pocket clip. Thumb stud. Blade Material: D2. Flipper Opener. Blade Length: 3.625". Blade Width: 1.00". Plain Edge. Blade Thickness: 0.15". Wharncliffe Blade. Handle Material: Black Aluminum, Green G-10. Tac-Force Spring Assisted tactical Rescue knife. Knife includes seat belt cutter, glass breaker & pocket clip. Excellent quality knife with sharp blade. Knife weight: 5.1oz (148gms). Mtech Spring Assisted tactical knife. Excellent quality knife with sharp blade. Attach Flipper & Thumb-stud to quickly open the blade. Knife weight: 4.9oz (141gms). Includes stainless steel pocket clip. This MTech USA 8.25" spring assisted folding knife is the perfect tool to carry around in your pocket. Featuring a sharp and durable stainless steel blade, this knife will get the job done. MTech USA Spring Assisted Folding Knife. Mtech Spring Assisted tactical knife. Excellent quality knife with sharp blade. Knife weight: 3.6oz (102gms). 3" bead blast finish San. 3" bead blast finish Sandvik 14C28 stainless drop point blade with dual thumb studs and extended tang. Teal 6061-T6 anodized aluminum handles. Lanyard hole. Reversible stainless pocket clip. 3" bead blast finish Sandvik 14C28 stainless drop point blade with dual thumb studs and extended tang. Teal 6061-T6 anodized aluminum handles. Lanyard hole. Reversible stainless pocket clip. Red & Green Dot Optics. Trending at C $66.79eBay determines this price through a machine-learned model of the product's sale prices within the last 90 days. Tacforce spring assisted tactical knife. Excellent quality knife with sharp blade. Knife weight: 5.7oz (163gms). Model Number: 1660OR. Blade: 3 in. Steel: Sandvik 14C28N Bead blasted finish stainless-steel. Closed: 4 in. Flipper: Yes. Assisted opening. 4" closed. 3" brown finish 14C28N Sandvik stainless blade. Brown aluminum handle. Thumb stud. Pocket clip. Lanyard hole. Extended tang.